Who loves author’s notes? Well here they are. We did not include the author’s notes (and the three epilogues) in the paperback version of The Sixth Labyrinth, in order to cut down on the page count and make the book more affordable. The Sixth Labyrinth is a complicated weave of truth and fantasy: Yes, liberties were taken. Following are notes, both about the liberties and truths, for those who might be interested. Some of the following could be spoilers for those who haven’t yet read the book. I was thrilled to discover some maps of Stranraer as it was in the 1850s. I used those to help describe the city, as well as my own memories from staying there. I have an extensive library of books and other media detailing the Scots language and dialects. I have studied these, off and on, for about twenty-five years. This has equated into me understanding some but still being able to authentically speak almost none. I was extremely fortunate to receive the help of two native Gaelic speakers for this book, and I will always be grateful for their assistance and patience. One of my favorite dictionaries is the Chambers Scots Dictionary, (compiled by Alexander Warrack, M.A. ), which I purchased while in Scotland years ago. It was first published in 1911, and I’ve noticed it contains many words that apparently have been dropped from newer publications. Perhaps those words have gone out of favor, but I was happy to have access to words that were likely common in the 1800s. Here is the subtitle: Serving as a glossary for Ramsay, Fergusson, Burns, Scott, Galt, minor poets, kailyard novelists, and a host of other writers of the Scottish tongue. I’m sure I fit in there somewhere! name who controlled the area in the distant past. When I was there, it was off by itself in an empty field; we had to climb over a fence and were alone in exploring it, which no doubt added to its ghostly feel. I think now there’s a parking lot nearby, but there wasn’t then. The description of Dhu Heartach was taken from A Star for Seamen, by Craig Mair. Work on Dhu Heartach was completed in November 1872. Corsewall was built in 1817, Cape Wrath in 1828, Berneray in 1833, and Cairn Point in 1847, all by the Stevenson family of engineers. The Glenelg Clearances: My descriptions of the Glenelg Clearances are an amalgam of evictions over the years, from various areas. In reality, Glenelg was cleared more than once, with the biggest eviction (500 people) occurring in 1849, and it did not happen exactly how I’ve portrayed it. The anguish I describe encapsulates almost every account I studied of people being cleared from their ancestral homes, but some were done in a more humane fashion than others, and in some instances, it was the crofters themselves who petitioned to be cleared. There are arguments about the Clearances, whether they were good or bad, kind or cruel, and I am not putting myself into those arguments. I had a vision of being a crofter in those days, of living on land my family had lived on for generations, of having everything fall apart, and of being relocated to a far away country, and that’s what I wrote. Randall Benedict, the story’s landowner at the time of the Glenelg clearings, is my invention, and bears no resemblance to any true-life landowners. In the late eighteen hundreds, the Highlands of Scotland were gradually converted from sheep farms to open parks for killing deer and birds. The pastime was popular among the wealthy British. My descriptions of Glenelg are not exactly what one would see these days, because I was trying to envision what the area might have looked like in the 1870s. I think there would have been more forest and less agriculture. In August of 1872 a sea serpent was indeed sighted and documented swimming through the straits of Kylerhea off Glenelg’s coast. I’ve never actually heard that selkies have a magic “gaze” that will bewitch any they turn it upon. That was my invention. The word “concussion” has been around since ancient times, but came into general use in the 16th century, along with descriptions of some of the common symptoms. A few people who have had concussions continue to experience symptoms for the rest of their lives— dizziness, headaches, mood changes, etc, and often stress or anxiety will bring on the symptoms. Current theory suggests that post concussion syndrome is more likely to persist in those who have suffered several concussions, as Morrigan has. Hypnotism: as I mentioned in the book, hypnotism was developed by James Braid, a Scot. 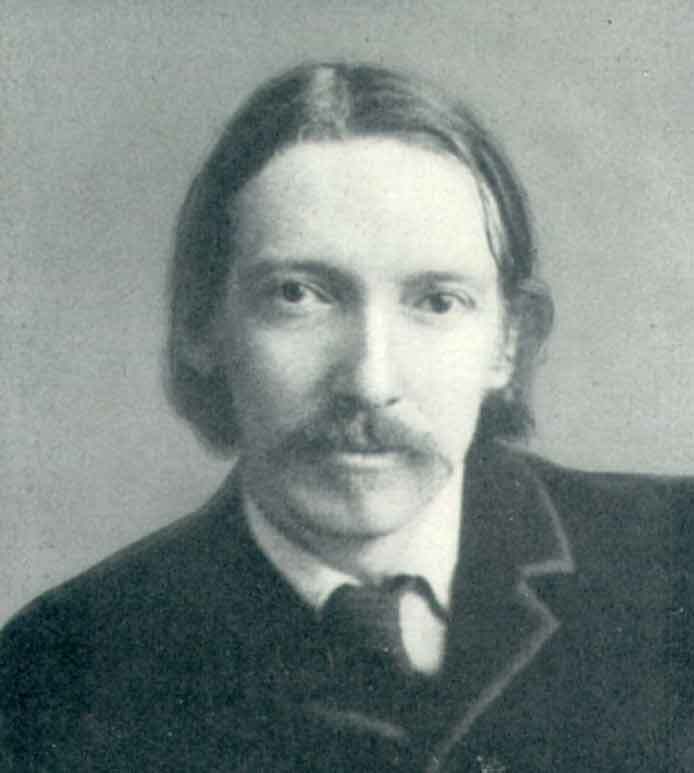 He coined the term “hypnotism” in the 1850s and used self-hypnotism to alleviate pain. After Braid’s death in 1860, interest in the procedure died out in England, and was later revived in France. Readers might detect similarities between Heinrich Baten, my fictitious Papal Inquisitor, and Konrad Marburg, a historical figure. Yes, I did think of him as I wrote the Inquisition scenes. Klaus Berthold, however, is completely fictitious: I did no reading about any historical archbishops, and all I know about the Archbishops of Cologne is the title. 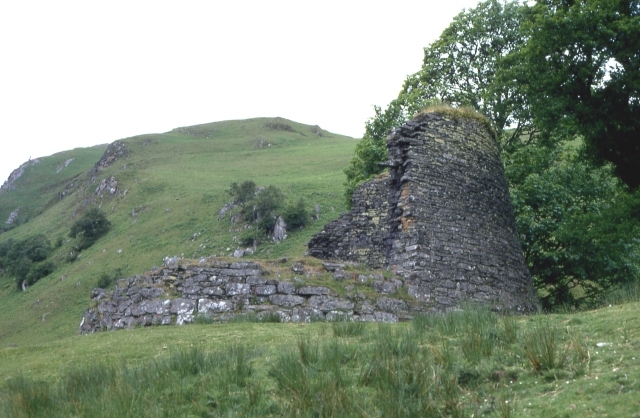 Dun Troddan and Dun Telve are two of the most well preserved brochs (ancient stone buildings) left in Scotland. Only Clydesdales are used in the oda? No. My invention. The part about the horses being stolen the night before is real though. Don’t go up to Cape Wrath thinking you’ll find tunnels under the lighthouse, or the remains of a fort! (This will all be detailed in Falcon Blue.) They live only in my imagination. The higher oxygen content of the air at Cape Wrath is documented, and the Clo Mor cliffs at Cape Wrath are the highest on the British mainland, at over nine hundred feet. I also made up the MacNeil house in Castlebay, on Barra, and of course Bishop House as well. Anachronisms: Not. The setting of The Sixth Labyrinth runs parallel to the work women were starting to undertake in Britain to obtain equal rights. Obviously, women were thinking the things that are brought up in my book. Many might not have, and many more who did might never have breathed a word about it, but change was on the horizon. Additionally, Morrigan, who possesses the subconscious memories of Aridela, has at this point five previous lives influencing her thoughts and the way she sees the world. See Elizabeth Clarke Wolstenholme, John Stuart Mill, and others. The LNA was a real team effort and a role model for me: the group had many committed male supporters as well as female. This concept is of passionate personal interest, as I feel we will never get anywhere unless we’re all willing to leave gender prejudices behind and achieve it together. 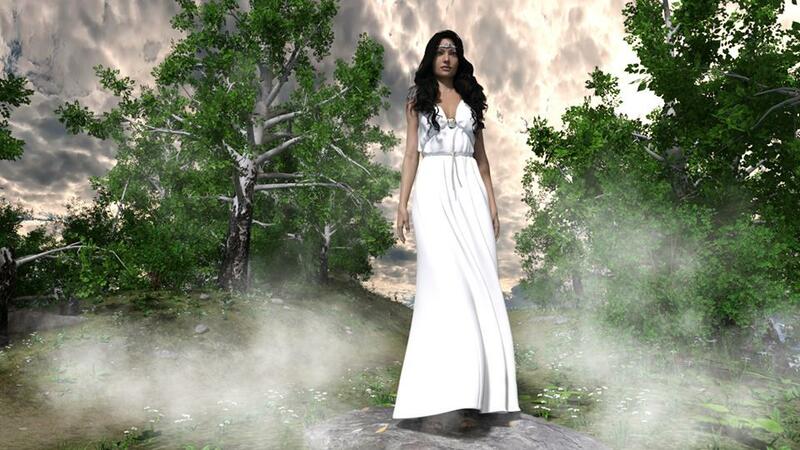 The discerning reader will see that as Aridela lives her various incarnations, she receives support and assistance not only from her reincarnated female followers, but men and women in the current time periods. In The Sixth Labyrinth, she is helped and influenced not only by those you might expect, but also her brother Nicky, Robert Louis Stevenson, Seaghan MacAnaugh, James Whistler, Lily Donaghue, Jamini, and Hugh Drummond. Separate but connected: I reject the idea that love and feminism are mutually exclusive. White bread was available by the 1820s, but it wasn’t exactly what modern people might think. It wasn’t pre-sliced, and the term simply meant that it was baked from a more finely ground flour, not modern bleached flour. Master McGrath did win the Waterloo cup in the years mentioned. The builder and owner of the famous Cutty Sark was Jock Willis, who built her in 1869. The race between the two clippers Cutty Sark and Thermopylae happened as described in the summer of 1872. At the time of Nicky’s death (August 10, 1872), RLS was in Frankfurt. I used my authorial license to have him come back briefly to attend the funeral. RLS did agree, reluctantly, to study law, though he wanted to write. Louis’s father attempted creative writing when young, but hid that fact from his son, and pressured him to become an engineer. Thomas believed that women should be able to divorce their husbands, but that husbands shouldn’t be allowed the same privilege. Public Domain image: copyright expired, per United States, Australia, the European Union and those countries with a copyright term of life of the author plus 80 years. RLS wrote that he thought he would never be great or rich. He did want his own children very much. He loved opera, and stated that he wished he could live his life inside one. I used the older spelling for the May 1 festival of Beltain. The spelling “Beltane” appears to have been adopted from James Frazer’s The Golden Bough, which wasn’t published until after my story. The spelling I use is from Anne Ross’s wonderful book The Folklore of the Scottish Highlands, which I highly recommend to anyone wanting to read more about the early customs, traditions, and beliefs of Scotland. I made up the Catholic Church at the estuary in Glenelg. Queen Victoria loved Scotland; she made it a popular place to go on holiday. She and Albert purchased Balmoral Castle and she often attended the Highland Games at Braemar. As everyone knows by now, gossip ran rampant in the years after Albert’s death that Victoria was having an affair with her Scottish servant, John Brown. She even had statues made of him. Gladstone was lampooned for trying to rescue the prostitutes of London from their sins, but he was actually quite generous and helpful in that regard, when he certainly did not need to be. James McNeill Whistler was a well-known figure in 1870s London. Whistler often went to Victor Barthe’s art classes in order to disrupt them. As far as the conductor— Lily has heard wrong. It was one of Hans von Bülow’s assistants who had a breakdown and had to be institutionalized. The place where the denouement occurs is loosely based on Gunamuil, the lower promontory next to Dun Mingulay, but is really a composite of the various cliffs, arches, and caves on the west coast of Mingulay, adapted for the story’s benefit. St. Brigit: the name of this important saint of both Ireland and Scotland has several different spellings. I chose to use the one Anne Ross used in her book Folklore of the Scottish Highlands. About the word “all right.” Apparently it wasn’t coined yet in the 1870s. I used it anyway, for convenience, clarity, and modern ears, but I tried not to use it very often. Did Scots put on mourning clothes after the death of a loved one? I can find no evidence that they did NOT, except for a mention in Scottish Customs From the Cradle to the Grave, where there are 5 or 6 mentions of YES on the mourning, and one mention of NO, and that was offered by a woman in 1988, not the Victorian period. I searched and searched for a definitive decision on this: most of what I found suggests that Victorian Scotswomen did put on mourning: besides, Queen Victoria made the white wedding dress popular, so she probably made the widow’s weeds popular as well. I did read in The Pictorial History of Scotland: From the Roman invasion to the close of the Jacobite Rebellion. A, Volume 1, by James Taylor, published in 1859, that mourning dress was not known in Scotland until 1537. I didn’t want my book to be as long as Clavell’s Shogun, so I had some people speak English who probably would not have in real life, like Kilgarry’s servants. Lebadeia was a shrine in Greece, north of Delphi; Pausanias tells a story about seeking prophecy from the oracle there, and how terrifying it was. Spoiler warning! Don’t read these if you haven’t yet read The Sixth Labyrinth! “And what did he do?” Eleanor pushed her great-niece into a chair and brought her a slice of orange marmalade cake. The first of September became the traditional date for holding an annual charity fundraiser at Kilgarry for the orphan project, as the weather was generally beautiful and the Michaelmas daisies were in bloom. It soon became the social event throughout the surrounding Highland counties, drawing Curran’s wealthy friends and associates from Glasgow, Edinburgh, and even as far as London. Every year the guest list grew, until Glenelg had to build a new inn to accommodate those who couldn’t fit into Kilgarry. 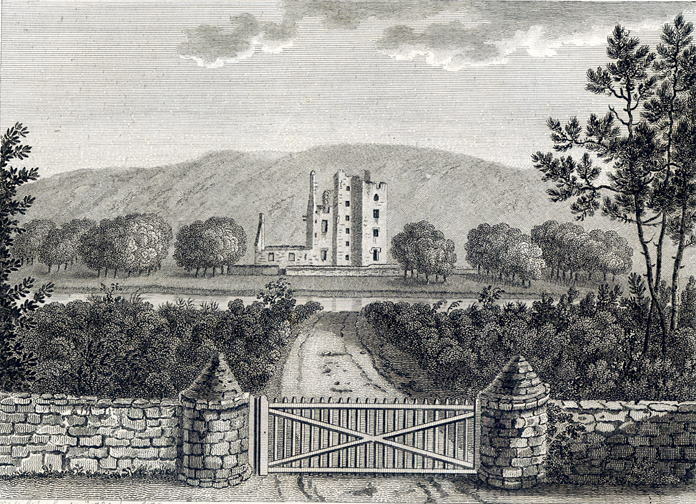 Extra help was hired from Fort William and Mallaig to assist with cooking, cleaning, and serving; musicians were brought in for the evening balls and dances, and the manor house nearly burst its seams with so many people. The first of September 1883 cooperated with warm sunlight and gentle breezes. Pavilions and tables were set up around Kilgarry’s pond, near the old oak. Guests wandered in and out of the gardens, enjoying lemonade, tea, and whisky, and there was a great deal of food for anyone who was hungry, as well as horseback riding, hunting, fishing, archery, and of course the ballroom was in great demand every night. The ferryman was kept busy transporting explorers to Skye for sightseeing, and for the most intrepid, there was mountain climbing. Interspersed with all the entertainment were the speeches, promises, and donations. Morrigan, Eleanor, and Diorbhail sat together upon cushioned chairs beneath the oak, a table between them holding lemonade and cakes. “Eleanor!” Morrigan pretended shock then giggled with Diorbhail at the midwife’s brazen ways, but a moment later, she winced and rubbed the side of her stomach. As usual, Eleanor didn’t miss it, and questioned with raised eyebrows. At that moment wee Seaghan ran up to them, nearly falling as he hadn’t quite mastered running yet, and placed his fists on Morrigan’s knees. His right hand was stuffed with daisies, and he turned up his face, seeking approval. “Are these for me?” she asked, taking them. He nodded. She picked him up and placed him on her lap. “You’re a grand lad,” she said, kissing his cheek, and he nestled in as best he could against her. To think what might have become of him, if he hadn’t been found two years ago in that awful place in London, barely six weeks old, sold by his father. Now he lived at Kilgarry, and had twenty other orphans for playmates, along with the local children, and since he’d had no name, he was called Seaghan in honor of Morrigan’s father, even though hearing it made her suffer his loss all over again. Seaghan’s body was found, stuffed under a pile of rocks, a week after the events on Mingulay. Someone had murdered him with a knife, and a local man went missing right after, but he was never found, and the investigation languished. Right when Morrigan learned she had a true father, he was taken from her; not being able to speak to him as his child remained an unrelenting anguish and regret. Soon Sophie joined them. Eleanor’s great-niece was a little lady, at ten. She and Olivia were the same age and the best of friends, though very different, with Olivia being a wild boyish child who, more often than not, could be found in the branches of the oak rather than sitting demurely beneath it. Sophie came to Glenelg every summer at her own insistence to stay with her aunt. She never wanted to go home to Edinburgh, though she loved her mother and father, and often wept for missing them. Her dream of a perfect world was one in which her papa agreed to move to Glenelg. She perched on the edge of a chair and sipped tea. “What is it?” Eleanor asked, in her usual perceptive way. The girl didn’t answer immediately, but pursed her lips and frowned. “Livvy’s telling that story again,” the child said in her soft Edinburgh brogue. “Which one?” Morrigan asked. Olivia loved making up tales. She was turning into Kilgarry’s own seanchaidh. Sophie would only say that she wasn’t supposed to tell, but she hated the story because Livvy always refused to give her a part in it. Sophie wanted to stay, have cake, and admire the pretty dresses, so the three cronies left Seaghan with her and went off in search of the missing girls. They weren’t at the pond, nor the walled garden, or the gazebo. Guests stopped them to chat and ask after Morrigan’s health as she neared her ninth month of pregnancy, hampering their search. Lily found them and reported happily that Sir John Beechforth had promised to donate a building in Soho that had been in his family, unused, for years. She whispered that the old sot hadn’t been able to take his eyes off her bosoms, so she credited them for the prize. Eventually, the three took note of a striped pavilion set some distance away from the others, and Diorbhail remembered that Olivia had asked Kyle and Logan to erect it for her and her friends. They couldn’t see the children as they walked up, but heard a flurry of female chatter, and paused outside the pavilion to listen. Morrigan recognized the voice of Rachel’s daughter, Jean. “Am I there?” This was asked by Eirene, Olivia’s younger sister. “But how, if they’re dead?” This was Jean again. Though she was only nine months older than Olivia, she often expressed disdain for what she called the younger girl’s silliness. “People don’t come back to life,” Jean said. “I want to dream of my other sisters!” Eirene said plaintively. “Tell us their names again,” Jean asked. She sounded disbelieving, like she thought she might catch Olivia in a mistake and prove the tale was make-believe. Olivia gave a sigh and Morrigan heard a whimper, probably from Violet’s baby, Grace. Olivia loved that child, and was always running off with her. As she began to speak, a large eagle landed on a nearby rowan branch. It made no sound but cocked its head and leveled the women with a fierce stare. 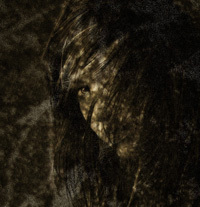 Morrigan had sagged against Diorbhail as Olivia spoke the first three names. Her legs felt too weak to support her. Morrigan took in a breath and straightened. The three women regarded each other, their eyes shining, and reached out, placing their hands on each other’s shoulders, creating a perfect circle. The jeweler frowned upon seeing the items. He spent a long time studying them with his magnifier, turning them over repeatedly. He went through a curtain into the back and soon returned with another man, who also inspected the knife and necklace carefully. They spoke together in low, rapid Greek. Curran understood only a few words, having lost most of the Greek he’d learned at university. “Will one of you tell me what is so interesting?” he interrupted. When I first wrote The Sixth Labyrinth, this then-current Jude Law was my inspiration for Curran Ramsay. The men exchanged another glance. “You aren’t telling me everything,” Curran said. Christopoulos stared at him, frowning deeply. The door at the front of the shop opened just then and Morrigan came in, flanked by Diorbhail. “There you are.” Curran held out his hand. Morrigan did not react as he’d thought she would. She blinked, but her smile didn’t falter. “They are wonderful, aren’t they?” she said. The other man came out from behind the counter. “I am Spiro Michelakis, Mrs. Ramsay,” he said. Philip sounded like a native Londoner, but Spiro’s Greek accent was pronounced. She held out her hand and he took it briefly. “May I tell you about our new museum in Athens?” he asked. “There’s a new museum? I would be very interested,” she replied, and the two walked over to another counter, where he brought out several cases as he spoke to her. “Oh yes, no doubt of it. The owl and the aegis tell us this.” His eyes filled with tears. Curran didn’t know what to say. It was odd, for he too sometimes saw flashes of things when he held the necklace and the knife. “Is your wife knowledgeable about our history?” Philip asked. Morrigan’s excitement was clear to see, as was Diorbhail’s. Curran felt excitement rise inside him as well, almost as though he was contemplating going home. His wife was looking at him in that way she had, communicating without words. He realized he was nodding. So be it. They would embark on a new pilgrimage— this time with their children. 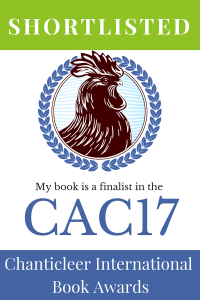 In The Child of the Erinyes, a series dealing with reincarnation, only one of the main characters retains memories from previous lives. Because the others come back with a clean slate, so to speak, I’ve had to work out how they find each other in every new experience. One of several methods I use is the aura. It’s part of what draws the triad and keeps them together. Auras are interesting phenomena. Described variously as “a breath,” “an emanation,” “a vibration,” and an “electromagnetic field,” these are colors that circle around people, invisible to most of us, but seen or sensed by some. Individual colors mean rather specific things, though there isn’t always agreement on what. Brilliant, clean colors envelop people who are farther along on the spiritual trail, “higher beings,” while muddy, dark colors point to trouble—a person mired in distress, hate, or sickness. Thoughts and feelings can alter the color and density of the aura. When colors flash and change swiftly, it’s an alert that thoughts and emotions are in flux. Generally, auras are made up of a mix of colors, though one will be dominant. Since our auras come in a wide panorama from subtle pastel to blazing primary, I needed to understand these characters and their desires/motivations on a deep level in order to choose the most appropriate aura. Here are the ones I used and why. Stranraer, Scotland, 1872: the first time Morrigan Lawton sees the stranger Curran Ramsay, he is standing inside a train getting ready to step off, and is in shadow. She’s looking up at him from the outside. Blue signals a person who is visionary, intuitive, and sensitive. But an aura isn’t simply “blue.” There are different shades of blue, and Curran (Menoetius from the Bronze Age) has them all in abundance. His aura communicates his ability to accept others and love deeply. Vivid blue tells us he is generous and spiritual. Indigo deepens that. Violet reveals that he is idealistic, even somewhat magical. Curran Ramsay also sees Morrigan’s aura. He describes it as pure gold, glittering like a sea of mica, with entwining whispers of lavender. 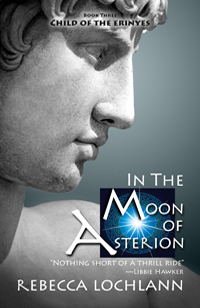 Gold is a rarely seen aura, so of course I reserved it for the high point of the triangle, Goddess Athene’s child and brightest hope, Aridela—Morrigan Lawton in this incarnation. A person washed in gold is protected by divine beings. He or she walks a special, guided path. Lavender affirms that Morrigan is as much a visionary as Curran, but also a daydreamer—someone with a very active imagination. Later, in Glenelg, Morrigan is introduced to the local midwife and healer, Eleanor Graeme, whose aura is a restful green. Green is not only a healer’s color but a teacher’s, a person who wants to help others. As Eleanor is the reincarnated Themiste from the Bronze Age, it makes sense. Themiste’s most ardent desire was to follow Aridela, to help her and make amends for the things she felt she had done wrong. Chrysaleon of Mycenae is the problem child of the series, and in The Sixth Labyrinth, his aura displays this. Here he is Aodhàn Mackinnon, a guy with plenty of secrets—and the only character burdened by previous life memories. Perhaps that’s why his aura is red, with accents of orange, and sometimes mud! A red aura suggests a person who is not so advanced spiritually. He or she is stuck in earthly interests like jealousy, anger, sexual obsessions, and amassing power. It’s not always a bad color: it can mean dedication, and as noted in The Sixth Labyrinth, can be the prevailing color in rebels, ascetics, and artists—anyone who is passionate about something. Orange combined with red announces Aodhàn’s deeply rooted need to control things. It has, after all, kept his defiance alive and fired up for over three thousand years at this point. Lastly, we have Diorbhail Sinclair—the reincarnated Selene. Selene is arguably the most resplendent champion of my saga so far: I actually refer to her in my own mind as the “Samwise Gamgee” of The Child of the Erinyes, and not surprisingly, she has the most complex aura. Hers is overwhelmingly white, and this is the color I had the most trouble researching. On the one hand, white can be interpreted as undiluted potential, a personality in transcendence. Some say angels themselves are cloaked in white. It represents not only spiritual qualities but also concentrated truth. On the other hand, there are those who believe white alludes to disease, near death, or a disordered noise, a failing of balance and harmony. After reading these opposing definitions, I knew white was the perfect choice for Diorbhail. She ardently wants to help her friend, Morrigan, but her allegiances are conflicted by her love for Curran, who is Morrigan’s husband. Loyalty fighting desire fighting resentment—as it was in the Bronze Age. She is on the verge of ascendance, but is held back by these earthly factors. Curran’s aura also turns white during times of high emotion, for instance when the submerged Menoetius responds to the submerged Selene. They are, and always will be, connected. The contrary qualities of Diorbhail’s white aura are set off by traces of pink—a promise that this woman is close to achieving the highest balance of all. Diorbhail’s is the most dazzling of all the auras in The Sixth Labyrinth. It nearly blinds Aodhàn. It was quite fun learning about auras. After researching them, I pondered their influence outside of novels. Perhaps they play a part when we meet someone for the first time and are inexplicably repelled or attracted. It could be we are subliminally seeing and responding to that person’s aura. So… the next time someone seems to be avoiding you, or you feel strangely turned off by a new acquaintance, maybe it’s not because of the onions at lunch. The reason could be a far more subtle influence—the influence of color! 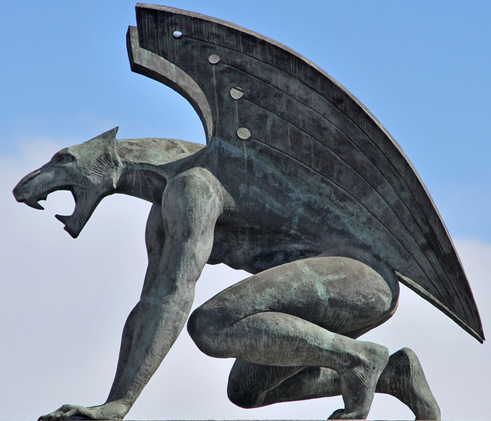 The Child of the Erinyes is an eight-book journey spanning 4000 years. 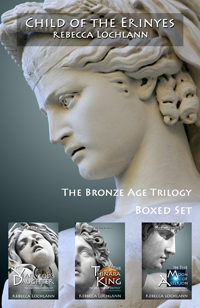 Beginning in the Bronze Age, it follows the lives of two men and a woman as they are reborn seven times through history. 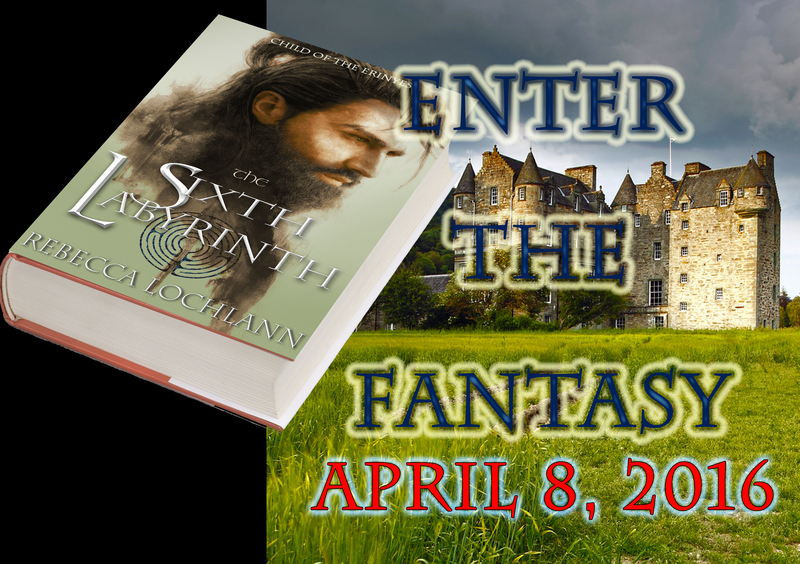 The Sixth Labyrinth, Book 4 of the series, is being released 8 April, 2016. Celebrating The Sixth Labyrinth with a sale! To celebrate a consequential birthday and the release of this book that has taken so many years to complete, I’m discounting The Sixth Labyrinth for the last week of its pre-order period and a week after. It will go live on April 8, 2016: now through April 15, you can get it for $2.99 (regularly $4.99). Links to pre-order are below the graphic. Worry not: all of you who have already pre-ordered it will get it for this special price! Barnes & Noble won’t allow us to set up a pre-order, but Nook readers will still get The Sixth Labyrinth at its sale price after it goes live, through April 15th. 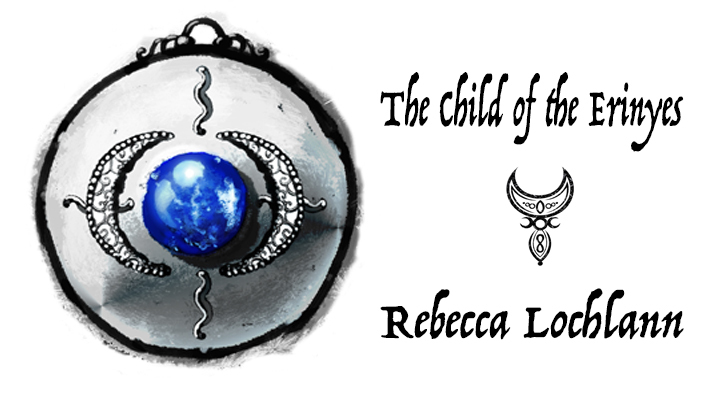 HERE is my author page, which will have The Sixth Labyrinth as soon as it’s released. Mark your calendars! Finis… or in other words, The End. A sublime combination of words I was beginning to doubt I would ever be able to type, but all edits have at last come to “The End.” It took so much longer than I expected, but I do believe I made the right choice to go through The Sixth Labyrinth one last time. I feel certain this will result in a smoother, more pleasant read. 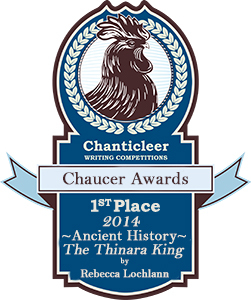 Thank you to my beta readers… my editor… my copy editors… the cover image artist… and my Gaelic speakers. This was a Team Effort that was years upon years (upon years) in the making. Cover talk: As soon as I saw this image by Eve Ventrue, I knew it was perfect. It was Chrysaleon, in every way. Angry, somber, and defiant, after three millennia of being reincarnated, forced to suffer the loss of the woman he loves, over and over again. He is deeply scarred, and I think that shows in every inch of this face. The image is unfinished: Chrysaleon, too, is unfinished. But this story is not just Chrysaleon’s. It is Aridela’s. It is Menoetius’s. And it is Selene’s and Themiste’s. All have reunited in 1870s Scotland. 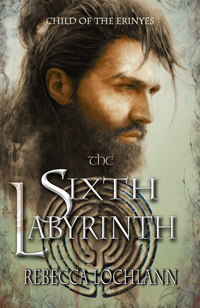 The Sixth Labyrinth is Book Four in The Child of the Erinyes series. Winter, 1853. Every home in the village of Glenelg is burned, the residents deported or left to starve. Douglas Lawton refuses to put his family on the refugee ship, though his wife is in labor. She dies giving birth to a daughter whose paternity will always be questioned. These mountains in the remote West Highlands of Scotland offer a backdrop to the continuing story of three lives linked through time. A silenced but enduring goddess has seen her place in the souls of humans systematically destroyed, but she bides her time. For Athene, thousands of years mean nothing. Framed within the Clearances that ravaged the Highlands, one woman struggles with the restrictions placed upon her, and all women. Her buried psyche is that of a queen who possessed unlimited power, yet here, she is little more than a scullery maid. 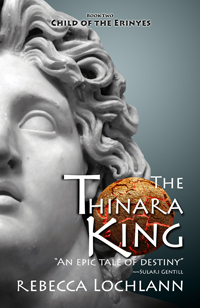 For thousands of years two men have fought for the heart of Athene’s daughter. Will either triumph? What are the consequences of winning? Ancient prophecy is unfolding, leading our triad into the shadowed corridors of The Sixth Labyrinth. You can click on this image to enlarge it. The mountain elements on this map were created by StarRaven, aka Daphne Arcadius, at DeviantArt. The other design elements are from Shutterstock. The world premiere of Tristan und Isolde was in Munich on June 10, 1865. 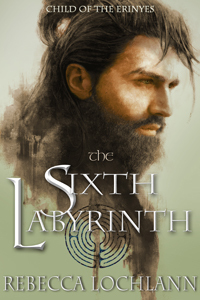 Book Five, The Sixth Labyrinth, is live and available at many sites. You can find purchase links in this post below or in the “Links to Purchase” tab. Update: Paperback version now available! I have lived many lives since the beginning, and so shalt thou. I have been given many names and many faces. So shalt thou, and thou wilt follow me from reverence and worship into obscurity. In an unbroken line wilt thou return, my daughter. Thou shalt be called Eamhair of the sea, who brings them closer, and Shashi, sacrificed to deify man. Thy names are Caparina, Lilith and the sorrowful Morrigan, who drives them far apart. Thou wilt step upon the earth seven times, far into the veiled future. Seven labyrinths shalt thou wander, lost, and thou too wilt forget me. Suffering and despair shall be thy nourishment. Misery shall poison thy blood. Thou wilt breathe the air of slavery for as long as thou art blinded. For thou art the earth, blessed and eternal, yet thou shalt be pierced, defiled, broken, and wounded, even as I have been. Thou wilt generate inexhaustible adoration and contempt. Until these opposites are united, all will strangle within the void. 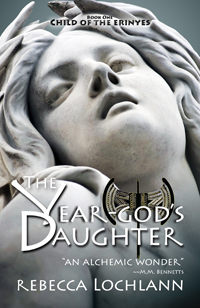 Book Five, The Child of the Erinyes series. A new myth from Ancient Greece. 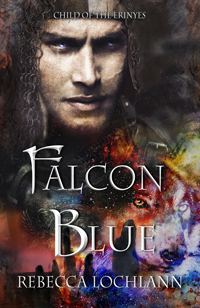 Morrigan Lawton lives a lonely, wearying existence in a land that long ago turned its back on magic and myth. Curran Ramsay enjoys every advantage and is loved by all who know him. Yet none of his successes can rid him of the sense that he is missing something, or someone. It haunts every moment, awake and in dreams. Twenty years ago, the sea stole Aodhàn Mackinnon’s memories. Now a penniless fisherman, his heart reels from an agony he cannot quite remember–until the landowner’s new wife comes to Glenelg. A silenced but enduring goddess has seen her place in the souls of mortals systematically destroyed. But she bides her time. For Athene, thousands of years mean nothing. Ancient prophecy and the hand of a goddess propel the triad into the winding corridors of The Sixth Labyrinth. Following a devastating attack on her home, young Zoë is torn from her solitary, fantasy-filled life in pastoral Germany. With help from an extraordinary man, she flees into the Mediterranean archipelago, barely a step ahead of the soldiers pursuing her. 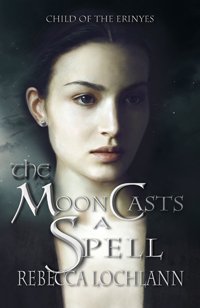 Magic and realism collide as she discovers why she is so important, and how the world has been wounded by the loss of dream and myth. Swimming in the Rainbow dips into the “lost years,” close to the end of The Child of the Erinyes. Click HERE to read pre-publication reviews of Swimming in the Rainbow.